Hey all you drivers out there! Let’s get a bit personal, how many of you are in a relationship with your vehicle? Now before you schedule an eye-appointment to tell the optometrist that you’re “reading” things again, why don’t we think about that question for a minute? Many of us rely on our vehicles for countless different reasons, and vice versa, our vehicles rely on us for just as much! Indulge me for a moment as I further illustrate this notion: If your vehicle isn’t running properly it depends on you to take it to a mechanic (unless you are one), on the flip-side, if you are feeling ill you depend on your vehicle to take you to a doctor (unless you are one). 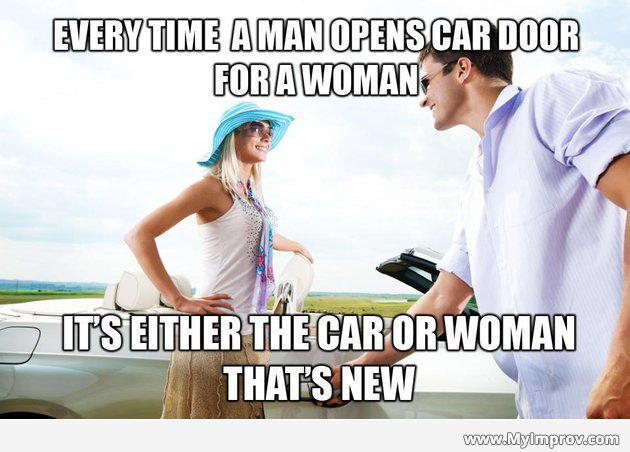 With that being said, to a certain degree we ALL find ourselves in co-dependent relationships with our vehicles. So what level of relationship do you have with your vehicle? You only provide the bare minimum for your vehicle. Although you drive it every day, there is little to no emotional connection between the two of you because deep down you know it’s just a machine. You periodically take your vehicle to the mechanic for check-ups. You are brimming with pride when your vehicle has just been washed, because you truly believe that it is an extension of yourself. You don’t mind letting other people drive your vehicle, because you and your vehicle both know whose name is really on the car title. It’s the first time you’ve felt loved by something without a brain. You are full of unanswerable questions like: Why am I *shushing* and rubbing the dashboard? OR Why are my hands getting clammy on the steering wheel, am I shy around my car? You will never forget the year/make of that vehicle. Due to unforeseen complications resulting in your vehicle’s demise, its existence now only remains in your heart and mind. You equate your emotions to the way Rose felt when Jack slipped away. There are embarrassing moments that inevitably come with being in any sort of relationship. Women and men alike, encounter these instances of embarrassment when having to live with their significant other. The same goes for the vehicular-relationships we find ourselves a part of. So let’s now pay homage, specifically to the men, who have mustered the courage to admit to an embarrassing moment in their driving career. *Statistics taken from Cars.com, percentages of males to admit out of 2,000 surveyed drivers.